Padmavati Pipes & Fittings Inc. is a leading pipes & fittings manufacturing company established in 2006, with manufacturing of only UPVC pipes with production capacity of 1700MT per annum. Since then company has undergone large extension to manufacture a wide range of Pipes & Fittings. In a short span of just 11 years now Padmavati Pipes & Fittings Inc. is running with a production capacity of 18500 MT Per Annum. Company has presently two plants located at roorkee, dist. Haridwar, Uttarakhand a famous & well known north zone of India & equipped with best of Man, Machineries & Technologies. The Strength of company is its committed & innovative management team, which is lead by young Mr. Sharad Aggarwal, Managing Director of Padmavati Pipes & Fittings Inc. having good entrepreneurial ability. 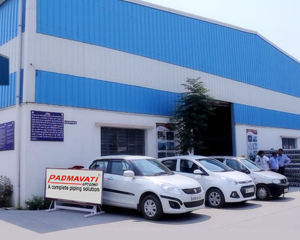 With the aim to provide zero defect manufacturing produts on competitive price, presently Padmavati Pipes & Fittings Inc. is providing a wide range of Pipes & Fittings which includes Agri Pressure Piping Solution, Blue Casing Pipe Borewell Solution, Column Pipe Borewell Solution, SWR Piping Solution, CPVC Plumbing Solution, UPVC Plumbing Solution, Electric Conduit Piping Solution & Garden Piping Solution.